Working in conjunction with Linda Burkhart and Gayle Porter, the creator of PODD (Pragmatic Organization Dynamic Display), Mayer-Johnson has created a powerful library of high contrast symbols for individuals with low vision and visual impairment. PCS High Contrast offers a core library of over 1450 symbols that are drawn with bright colours and minimal detail. 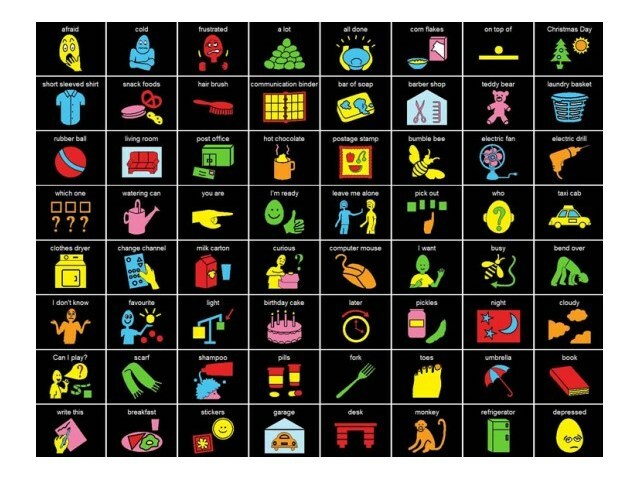 These symbols are easier to see than standard symbols and offer a range of vocabulary topics to enable individuals with low vision or visual impairment to participate in a variety of communication settings. 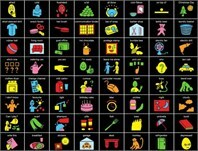 PCS High Contrast includes symbols for food, clothing, games, community, school, social interaction and much more.